From skyscrapers to mountaintops and concrete sidewalks to tree-lined trails, there is no shortage of things to see and do in New York. 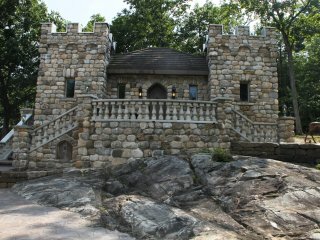 With so much to explore throughout the state, book several New York vacation rentals to see more during your vacation. Whether you’re new to the state or have visited in the past, there’s always something new to discover. Chautauqua-Allegheny: Popular cities in this region include Buffalo, Rochester, and Niagara Falls. Vacationers flock to this area to stay in rural New York vacation rentals along the Great Lakes lowlands. Niagara Frontier: Part of Western New York, this area falls south of Lake Erie and Lake Ontario and stretches to the Ohio border. Finger Lakes: Encompassing a group of long and narrow lakes, this region in Central New York is renowned for its wine, local breweries, and hard-cider producers, as well as a variety of outdoor activities. Thousand Islands: The area straddles the U.S.-Canada border, extending from the lake shores inland to the foothills of the Adirondack Mountains. 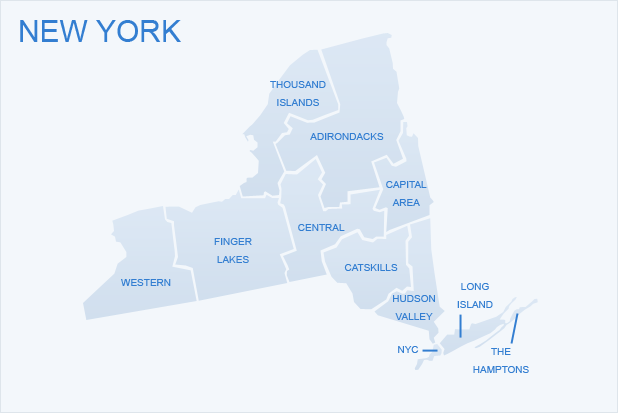 Central Region: The region is centrally located in the state and is a great representation of New York as a whole with its hills and rivers, cities and farms, mix of work and play. 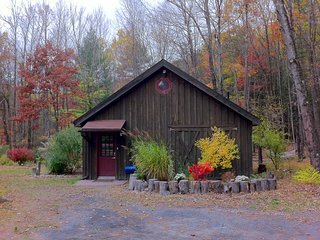 Here, you’ll find many rustic New York vacation rentals and cozy cabin rentals. Adirondack Mountains: Spanning acres of forested pines, scenic mountain ranges, and lakes, this area showcases the breathtaking beauty of New York. Stay near Lake Placid or in a cabin by Lake Champlain during your trip. Capital District: This is the eastern region of New York that includes the state capital of Albany. It’s noted for its rich history and metropolitan atmosphere. Catskill Mountains: Just 100 miles from New York City, the area is known for being a recreational playground. Whether you prefer hiking or biking, swimming or boating, or simply relaxing, there’s something for all vacationers here. Hudson Valley: This region includes the Hudson River, and includes numerous New York towns like Westchester and Yonkers. New York City: Home to iconic landmarks, such as the Empire State Building and Time Square, this area is the reason millions of tourists flock to the state each year. Long Island: Consisting of an island off the coast, this area is beloved for its charming beach towns and sprawling mansions. 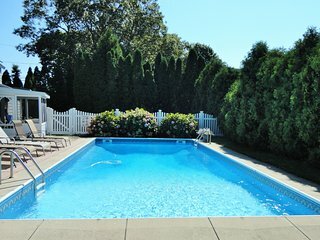 Relax in luxury at Hamptons vacation rentals or stay closer to New York City in a Garden City apartment rental. If you’re visiting New York City, there’s no need to have a car during your stay. The city’s subway system serves the entire city and is one of the world’s oldest public transit systems. Additionally, four commuter railroad systems enter and leave the city making it very accessible to those staying in the suburbs. For vacationers staying farther from the city, a car will make getting around New York most convenient. Visitors to New York State have an abundance of activities to choose from. In the city, visit attractions, such as the Empire State Building, the Museum of Modern Art, United Nations, or the Rockefeller Center for a fun-filled day. Walk across the Brooklyn Bridge or head out to see Ellis Island and the Statue of Liberty on Liberty Island. 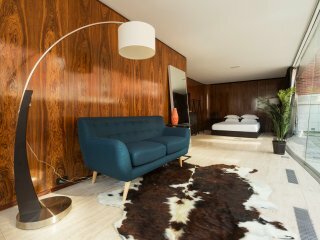 If it’s shopping you’re interested in, stay in New York vacation rentals in midtown for upscale shopping or stop in SoHo for stylish and funky finds. 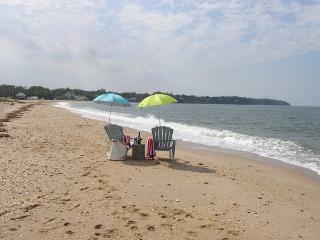 During the summer, escape to Long Island for relaxing beach days. Montauk rentals and Fire Island homes are perennial favorites with young couples and families looking for beachfront properties. Climb Montauk Point Lighthouse or sip locally made wines at Sannino Bella Vita Vineyard. If the beach isn’t your thing, explore the Adirondacks on foot or enjoy fishing and boating in the Finger Lakes region. Other popular activities include visiting the National Baseball Hall of Fame and Museum or the Folk Art Museum in Cooperstown, antiquing in Upstate New York, and boating at the largest inland marina in New York, Allan H. Treman State Marine Park. Head north for a day trip to Canada, or simply stop at the border to see the majestic Niagara Falls. Food and dining opportunities abound in New York. On Coney Island, visitors often try hot dogs at Nathan’s Famous flagship restaurant. The restaurant is the site of a legendary annual hot dog eating contest and serves up delicious Coney Dogs year-round. For a healthier option, enjoy crisp apples straight from a local orchard. Apples are the official fruit of New York and many varieties are grown throughout the state. Quench your thirst at Finger Lakes Wine Country or spend time at Robibero Family Vineyards in the Hudson River Valley on a beautiful day during your visit. The state is second only to California in wine production and exploring New York’s vineyards is a must. Potato chips are a popular snack as it’s said that they originated in Saratoga Springs. Holiday events in New York City. Whether it is the Easter Parade and Easter Bonnet Festival, the Macy’s Thanksgiving Day Parade or the annual tree lighting ceremony in Rockefeller Center, the city comes alive with holiday cheer. Mets and Yankees Season Openers. Sports-lovers flock to Queens and the Bronx to watch these teams kick off their seasons and take in America’s favorite pastime. The Adirondack Balloon Festival. Visitors flock to the area every September to see the colorful balloons fill the sky and to take a ride in one through the clouds. The Syracuse Jazz Fest. In July, the event attracts nearby guests and is free for all to enjoy. Artists from all over perform and food trucks and local vendors add to the lively atmosphere. From sightseeing in New York City to “roughing it” in the Adirondacks, a trip to New York is sure to be unforgettable. New York vacation rentals combine the comforts of home with the joy of experiencing something new, so pick a place and put yourself in a “New York state of mind.